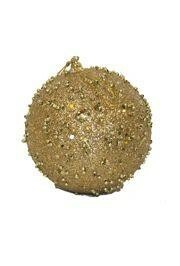 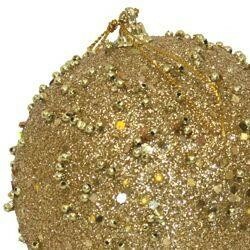 This glittered gold ball is a perfect hanging decoration for masquerade ball. 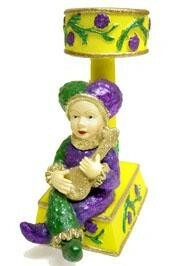 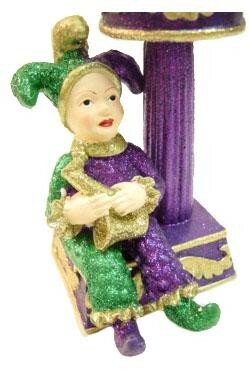 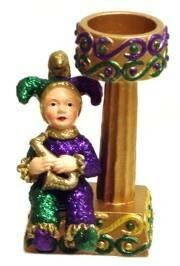 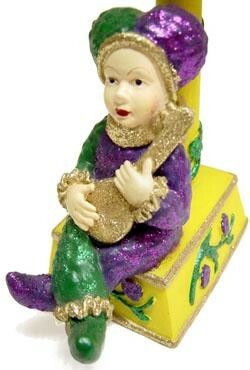 A purple, green, and gold sitting jester playing a guitar candle holder. 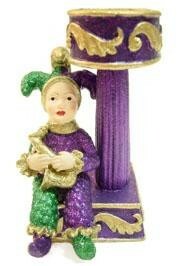 This measures 5 inches tall. 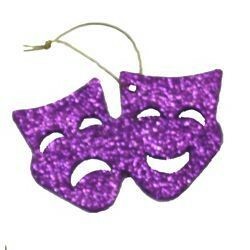 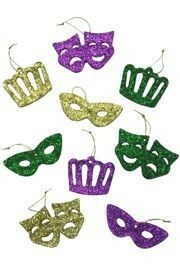 These are great for decorating parties and parade floats. 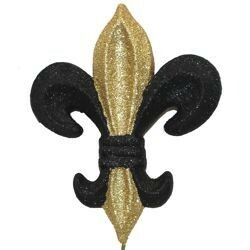 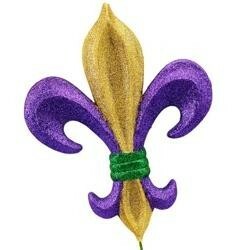 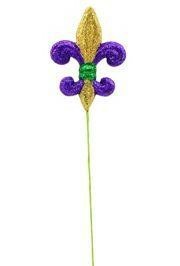 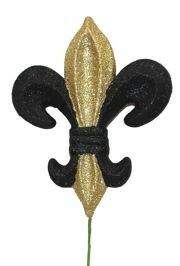 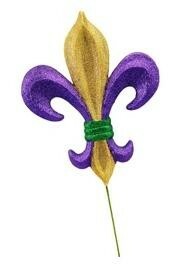 This black and gold Fleur De Lis pick on a 12in Stick is a great centerpiece for any Mardi Gras party.